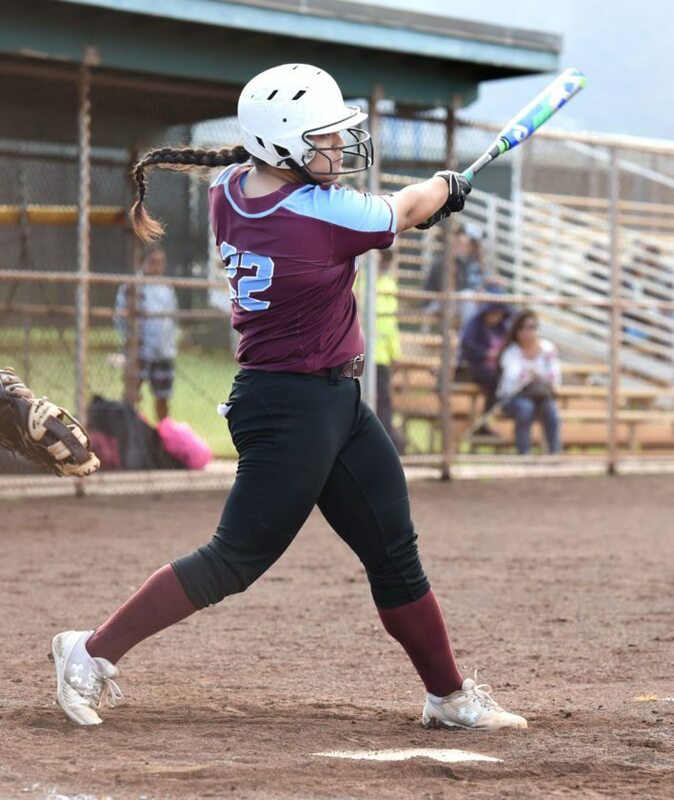 KAHULUI — Saree-Ann Keka­huna has never been to the softball state tournament. Next month, that will change. 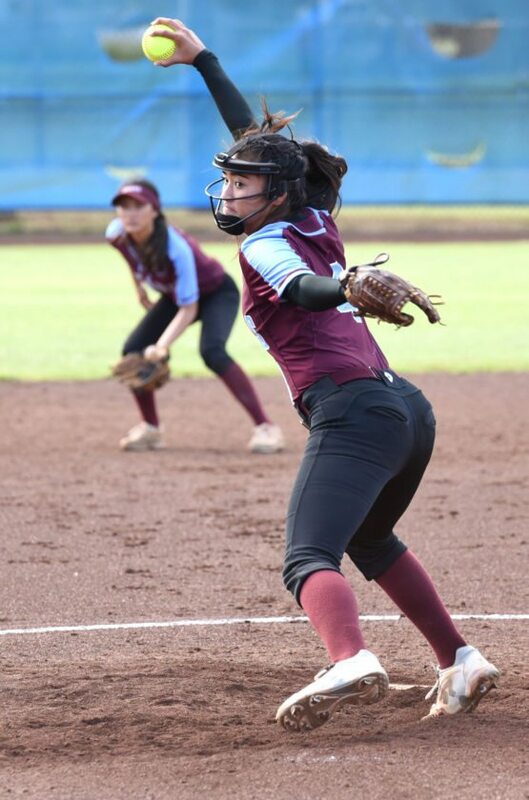 The Baldwin High School softball team clinched its first state berth since winning the 2015 Maui Interscholastic League championship with an 11-1, five-inning win over Kamehameha Maui on Wednesday at Patsy Mink Field. Baldwin can wrap up the MIL crown by winning the league tournament or a championship playoff game against the MIL tournament winner. Baldwin took control against the Warriors (6-4) in the first inning. 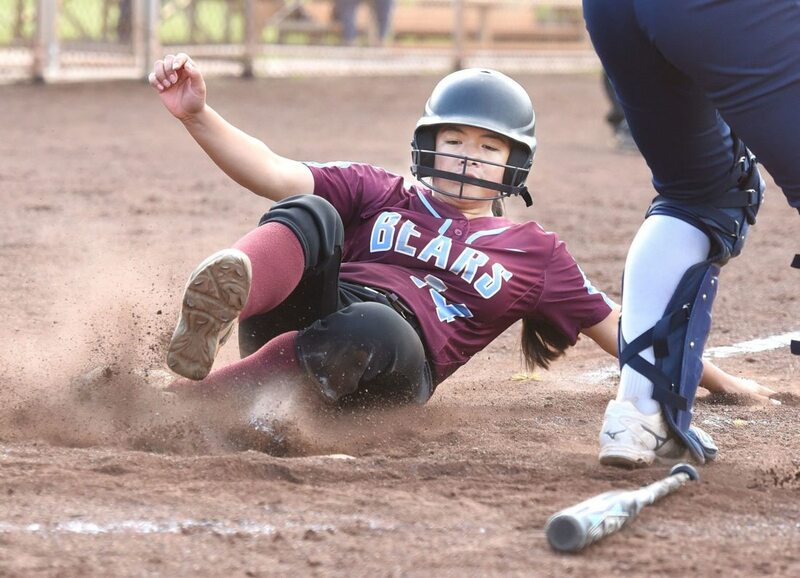 Kamehameha Maui tallied its run in the top of the first when Jerriah Solomon doubled to lead off and scored on an error. Baldwin struck for seven runs in the bottom of the first by taking advantage of four walks, three hit batters and eight wild pitches. Aliya Harmon pitched a four-hitter with seven strikeotus and two walks. She was also 2-for-4 at the plate with a double and a run scored. Kamehameha Maui is clinging to second place with two games to play — the young Warriors have just two seniors on the roster. He likes the way his team is playing as the MIL tournament nears. Melia Kama and Kanoe Kahahane; Aliya Harmon and Saree-Ann Kekahuna. W-Harmon. L-Kama. 2B-Kamehameha Maui: Jerriah Solomon; Baldwin: Harmon. Leading hitters-Baldwin: Harmon 2-4, run. Hana at Lanai, 10 a.m.